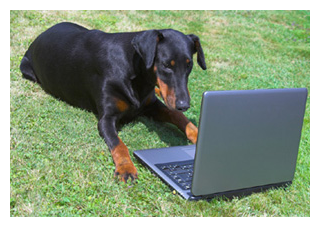 Pet portals are private websites that give you secure online access to your pet’s health information. We provide Pet Portals free of charge to all clients who have an active email address on file. It’s easy! Simply give us your email address and we’ll email you a login and password. How do I use my Pet Portal? Pet Portals can be accessed through our website by clicking on the “Pet Portal” button. Upload photos and change information as needed- For example, we will be notified of any address change made on your Pet Portal and we will quickly update your records. You are the only one who has access to your pet portal, but you can communicate with us through Pet Mail, Refill Requests and Appointment Requests. We will either call or email you back to confirm appointments and continue to keep in touch for all your pet’s needs. What else can my Pet Portal offer? Medication Minders are friendly, nonintrusive emails that you can have sent to you automatically on the day your pet’s medication is due. Setting minders up is easy, click on the Pet Tools tab to get to the Medication Minder tools. Use Pet Notes to easily create and print pet health care instructions for pet sitters or kennel staff when you are out of town. Easy and convenient access to pet’s vaccination record, a list of medications that have been given and more. So don’t delay-start managing your pet’s care with your Pet Portal today!